Deborah Schiff is the executive director and executive vice president for strategy and business development for Northwell Health’s ambulatory network. In this role, she is responsible for building the ambulatory network through physician alignment, IPA development and ambulatory site development. 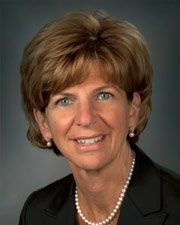 With more than 25 years of experience developing and implementing strategies to facilitate service line growth and development, as well as physician alignment, Ms. Schiff remains focused on building a network of providers and ambulatory facilities to manage the health of more than seven million people in Northwell’s service area. A cornerstone of the ambulatory network has been strengthening and expanding relationships with the approximately 10,000 affiliated physicians serving different populations throughout the region, enhancing access and improving health outcomes. Ms. Schiff serves on the board of directors of the Girl Scouts of Nassau County, the Health and Welfare Council of Long Island, and the Energeia Partnership, an organization that focuses on building regional stewardship. In addition, she has worked with the Nassau County Department of Health to address healthcare disparities in the community. Ms. Schiff is a registered nurse and holds clinical and administrative degrees, including a nursing diploma from Queens Hospital Center School of Nursing and a bachelor’s degree in health administration from St. Joseph’s College. Deborah Schiff shares her insight with Modern Healthcare.